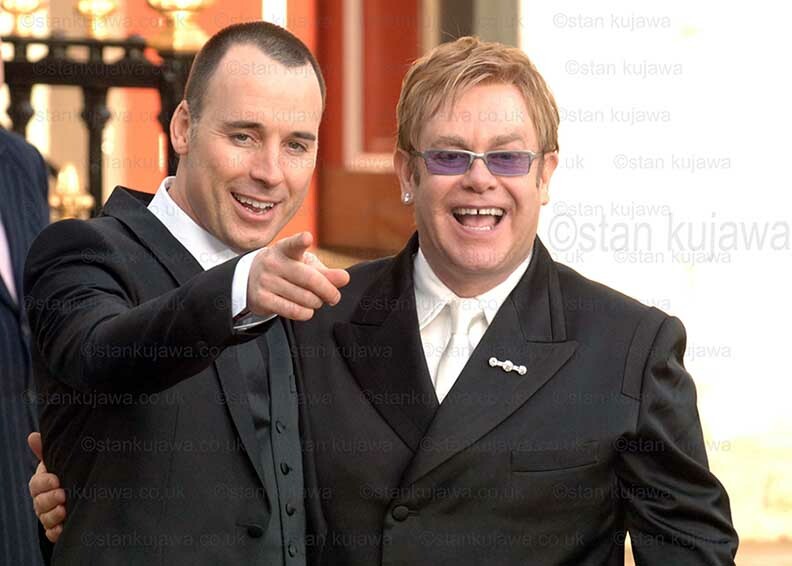 dave and elton back in 2005, Civil Partnership at the Windsor Guildhall, Berks. As from yesterday they are now married. 21/12/05. ELTON JOHN and DAVID FURNISH Civil Partnership at Windsor Guildhall, Berks, UK. Just married. ©Stan Kujawa 2005. stan.pix@virgin.net All rights reserved. Image may not be reproduced without express written permission of photographer.